It almost felt like any comedy I saw from the 1930s and 40s had Horton showing up on screen. He was practically a fixture in the Fred Astaire/Ginger Roger films. 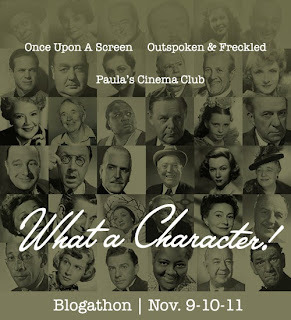 He appeared in "Holiday," "Here Comes Mr. Jordan," and "Arsenic and Old Lace" to just name a few. And in later years he played in one of my favorite comedies "Pocketful of Miracles" as the loyal butler Hudgins. Loyal. Helpful. Polite. Distinguished. These are the characteristics that defined the characters he played, and he made great success out of playing them. The Extended Double Take: Horton was well known for his rendition of the Double Take. His character would smile and nod in response to something, then he would get this shocked look of realization and then get a troubled or concerned look on his face. It never failed to occur and it was funny each time. Edward Everett Horton got his start in Vaudeville and Broadway before moving to California to be in films. He performed in Silent Films before successfully transitioning to Talkies. Supposedly he originally went by Edward Horton but his father persuaded him to include his middle name. There could be numerous Edward Hortons in the business, but there would only be one Edward Everett Horton. 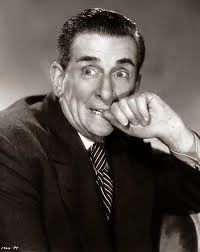 Indeed there is only one Edward Everett Horton. A character actor who managed to shine.